If you thought I had forgotten this weeks Friday Islay Picture, then you are wrong. No, I haven't forgotten. 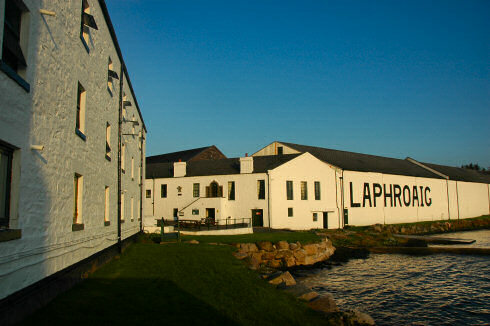 If however you thought this weeks Friday Islay Picture might be of Laphroaig distillery, then you are right. Not really a surprise after the Laphroaig book entry earlier this evening, isn't it? A view of the reception/office and the famous warehouse #1 in the mild evening light in October 2007. Some of the most beautiful light I can remember seeing here. I've got a few more pictures from this evening and hopefully also a panorama, they'll probably show up on this blog and/or my Isle of Islay pages at some point. But for now all that remains to say for this evening is: Have a great weekend!